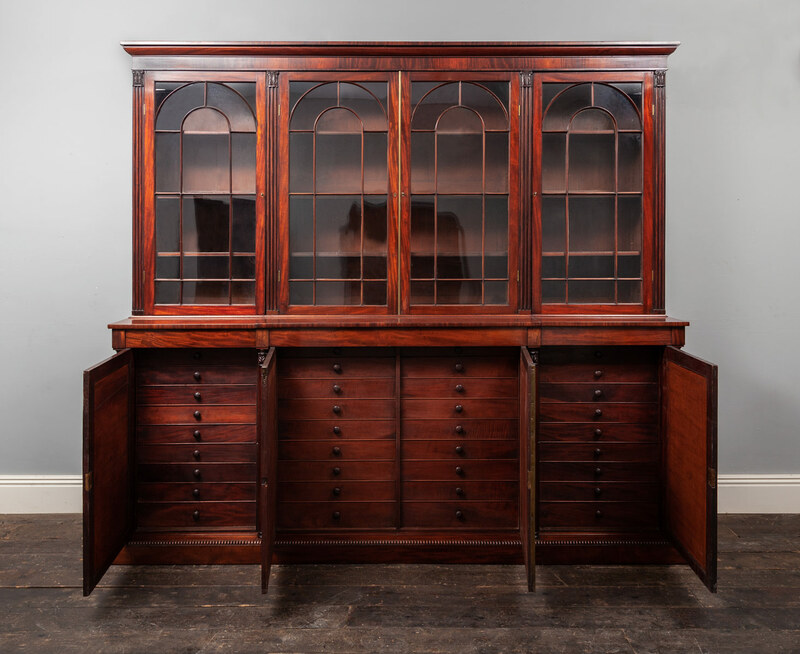 Made from richly coloured Cuban mahogany and in wonderful original condition. 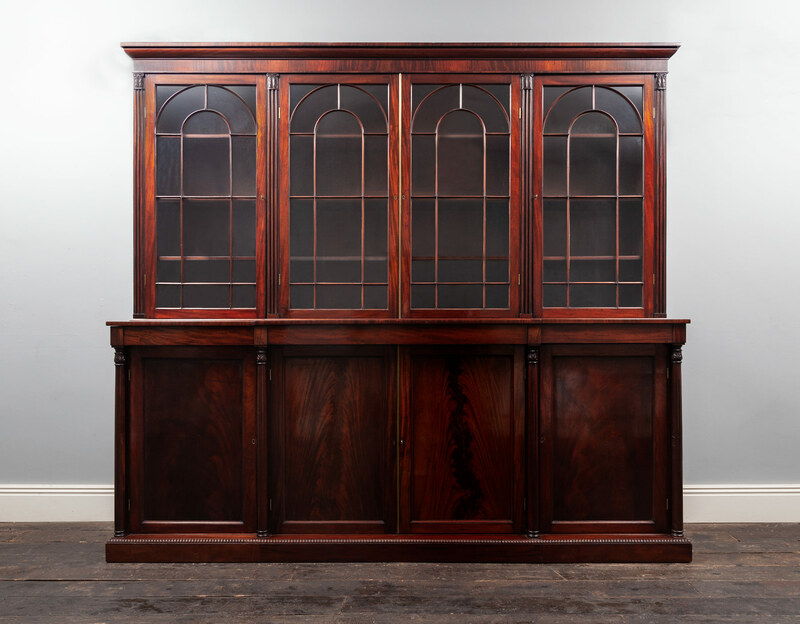 The design is refined, understated and architecturally pleasing. 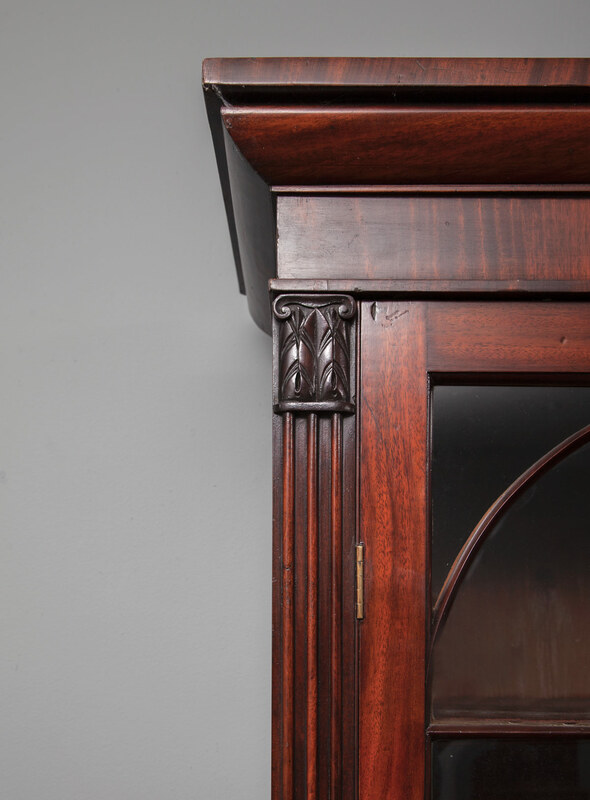 The base has acanthus capped columns on a reeded edge plinth and four doors with well figured mahogany panels. Behind the doors are very useful pull-out drawers with button handles. 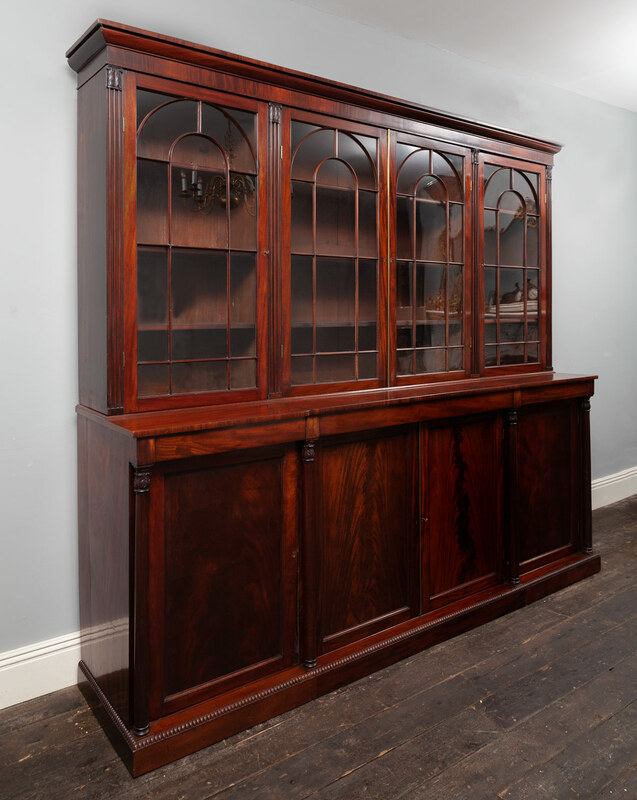 The top section of the bookcase has arched glazed doors and shelves within.